Hi! My name is Lisha Zhou. I come from Mianchi, a small town with a history of over 2000 years located in middle China. In 2009 I went to Beijing for college and majored in Teaching Chinese as a Foreign Language. Four-year college life in Beijing broadened my horizon and made me want to explore what is outside my country. In 2013, I came to the US to further my education, and I gained my master’s degree in Curriculum and Instruction from UT Austin. 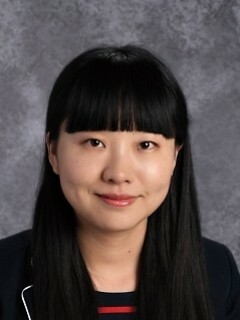 In the summer of 2015, I moved here to Utah, and started teaching 4th grade Chinese immersion at Renassiance Academy. I really enjoy teaching, and working with kids. I am looking forward to contiuning my teaching career here with so many amazing people, and using my expertise in Mandarin to help kids to the fullest!